There are many movies made based on historical events. Usually, filmmakers take liberties in adapting the story, adding characters, scenes, and events to make it more appealing and engaging for an audience. Names might be changed and pieces skipped over, and in some cases, it’s up to the screenwriter to fill in the blanks and present a version of the story that they believe happened since the actual events are not at all clear. This is obviously a bold and risky move, but when mysteries occur in history, some creativity is needed to tell the story. Lizzie Borden (Chloe Sevigny) lives in Fall River, Massachusetts in 1892 with her father (Jamey Sheridan), stepmother (Fiona Shaw), and sister (Kim Dickens). Not content to accept the state of things around her, Lizzie regularly flaunts her controlling father’s wishes, going out on the town and balking the authority of those who tell her to be tame. 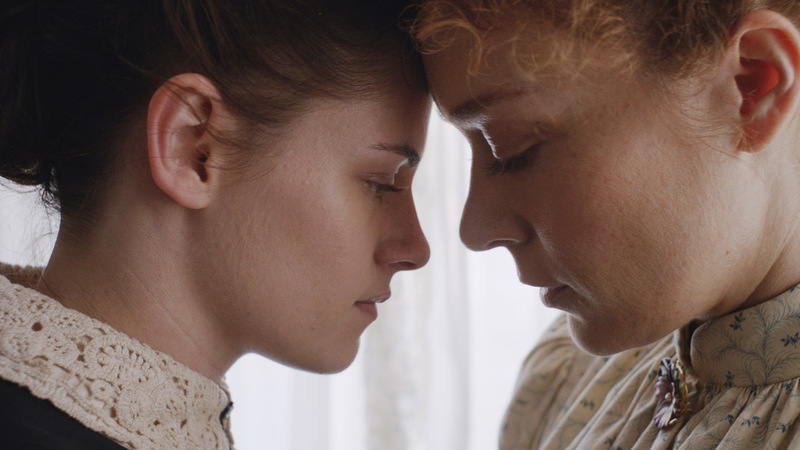 When a new maid, Bridget (Kristen Stewart), comes to live with the family, Lizzie forms a close bond with her that earns the scorn of her father. Lizzie’s contempt for her father and stepmother continues to grow, leading to their murder, which many believe she committed. This is a very well-known case in history, and its title indicates that the story is most about the rebellious daughter initially arrested and tried for the murders. The film focuses mainly on Lizzie and Bridget, named by Lizzie’s stepmother as Maggie because of her Irish heritage, and the warm, forbidden relationship they form in the midst of such repressive misery. Lizzie feels like a woman far ahead of her time who sought to make trouble since she knew change was impossible, while Bridget maintains a far more passive and submissive approach, blending in and rarely speaking up. Most of this is speculation, but these characters do at least feel like real people. Sevigny is a great choice to play this role, giving Lizzie a strong, fiery energy and truly conveying the hatred she feels for those who make her unhappy. Stewart handles an accent well and isn’t meant to draw much attention from the film’s title character. Shaw is appropriately villainous, while Sheridan is rather wooden and Dickens is wasted in an underused role. 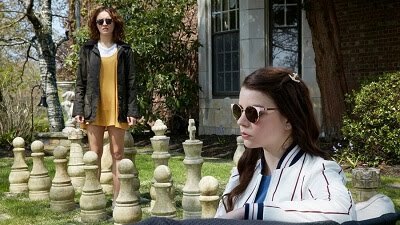 The film, director Craig William Macneill’s second, trudges along rather slowly, and not much feels gained by its end after traveling predictable territory without much helpful insight that couldn’t be gleaned from its start. What is undeniably an interesting piece of history is told in a way that adds nothing to the story and doesn’t feel terribly worthwhile.